If you like spicy, you like spicy, and it’s sometimes impossible to find a seasoning that works hard enough to satisfy your heat cravings. Well, suit up, because Swamp Venom delivers a punch in the mouth, with lingering heat and a complex flavor profile that will satisfy any BBQ nut. With influences from throughout the South and Southwest, this flavor can hold up to the most robust meats, and gives a nice punch to pork chops, grilled shrimp, chicken wings, catfish, crawdads and more. Not only that: Try it in grits or a Bloody Mary for an extra kick! This Deep South flavor profile is lightly tangy, slightly sweet, with overtones of cumin and sage. Its versatility is matched only by its heat, a result of expertly mixed cayenne, African bird pepper and other spices. 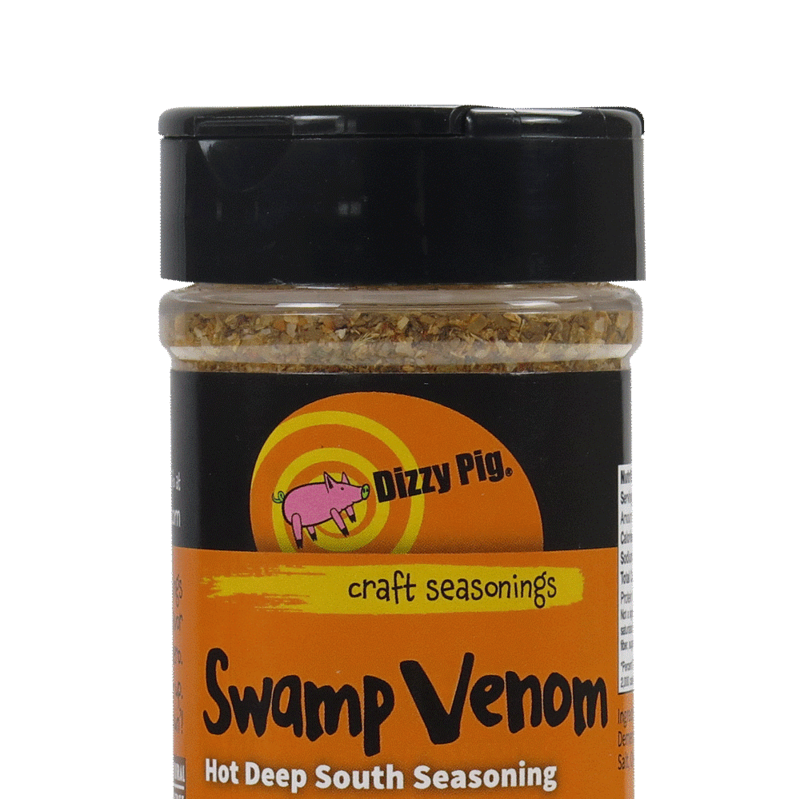 Let go of your disappointment over other so-called “spicy” rubs and bring Swamp Venom into your home … and your heart.